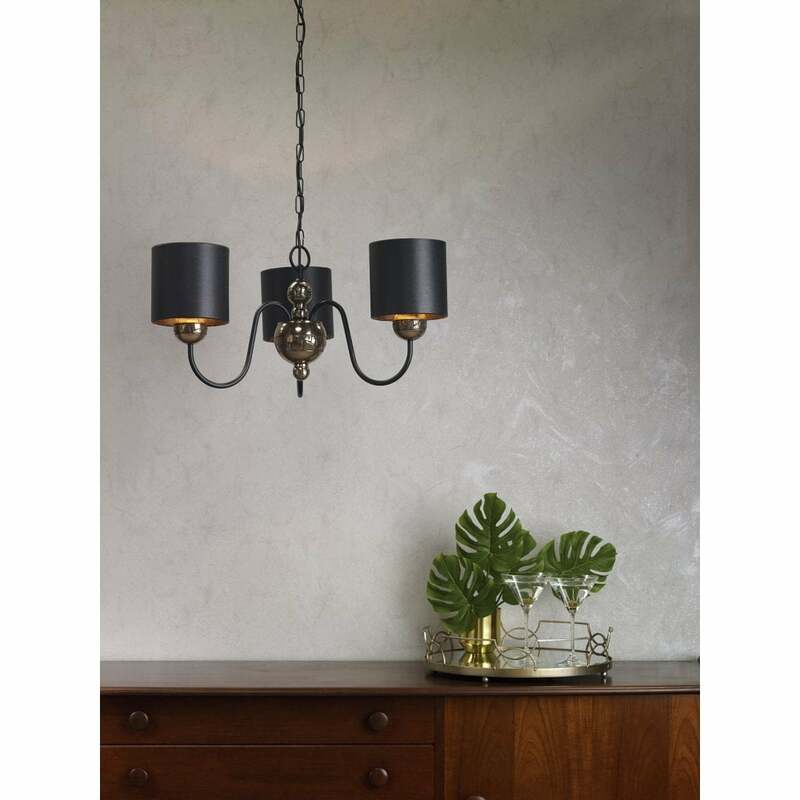 David Hunt Lighting Garbo 3 light ceiling fitting features a traditional flemish chandelier frame complete with the central stem that has varying narrow and wide parts, and elegantly curving, black arms. The shiny bronze finish of the central stem co-ordinates well with the matt black arms and gives the fitting a modern look that is complimented by the matching shades and the eccentric mosaic detail. The product code for this David Hunt chandelier is GAR0373. A British made cutting edge design full of visual interest that is a great addition for contemporary homes. Height is adjustable at the time of fitting and is ideal for injecting a touch of glamour to smaller areas. This unconventional range is also avaible in a pewter finish with a selection of shade options available, and come as a variety of ceiling and wall lights, and now homewares!